And slanderous and cause schism. Don’t take bad people as your companions. Are ethical and do much listening. Take the best as companions. To bad companions and wicked beings. You will do goodness, not wrong. Their special qualities are attained here. Be devoted to those great ones. So too will those devoted to the virtuous. A lifetime of devotion to the wise. (15) Just as the tongue can taste the sauce. A brief attendance on the wise. They have eyes to see. Of the Buddha in its entirety. Won’t set infantile ones to work. A thousand lines do not suffice for one. Better the wise even if unfriendly. No infant is suited to be a friend. The infant-like are led to hell. (23) Devotion to infants brings misery. Offered with kind permission from Gareth Sparham and Wisdom Publications. “Intimate Friends” is the title for chapter 25 of the Collection of Indicative Verses. [Ud: 25.5.–6; P992: 98.3.3.–7.] Published in The Tibetan Dhammapada. A Wisdom basic book. Orange series. Published by Gareth Sparham & Beth Lee Simon, ISBN 0861710126. Not to associate with the foolish, but to associate with the wise; and to honor those who are worthy of honor — this is the greatest blessing. Admirable friendship, admirable companionship, admirable camaraderie is actually the whole of the holy life. When a monk has admirable people as friends, companions, & colleagues, he can be expected to develop & pursue the noble eightfold path. I'm blind, my eyes are destroyed. I've stumbled on a wilderness track. Even if I must crawl, I’ll go on, but not with an evil companion. Question: We must practice in accordance with the gurus' words. Then what if we rely on the gurus and they lead us to an incorrect path or employ us in activities that are contrary to the three vows? Should we do what they say? 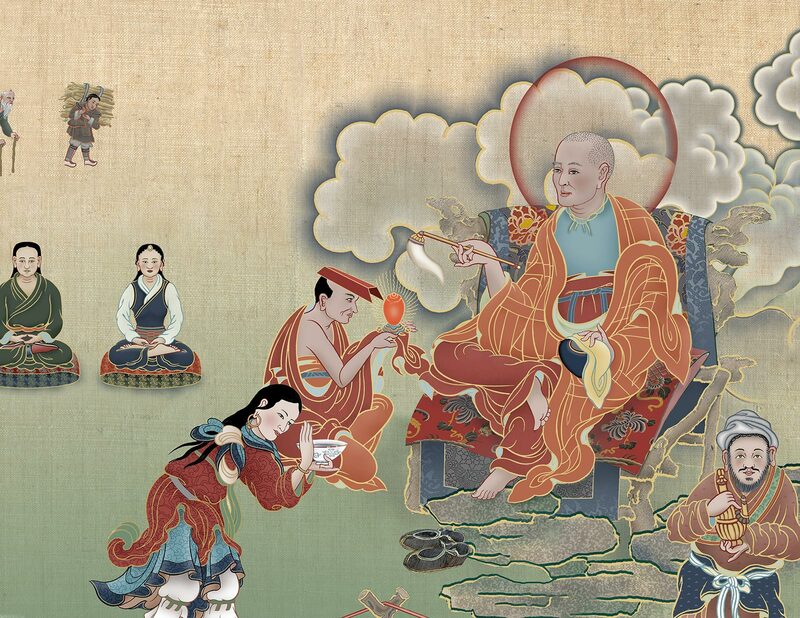 Reply: With respect to this, Gunaprabha’s Sutra on the Discipline states, “If the abbot instructs you to do what is not in accord with the teachings, refuse.” Also, the Cloud of Jewels Sutra says, “With respect to virtue act in accord with the gurus’ words, but do not act in accord with the gurus’ words with respect to nonvirtue.” Therefore, you must not listen to nonvirtuous instructions. The twelfth birth story clearly gives the meaning of not engaging in what is improper. 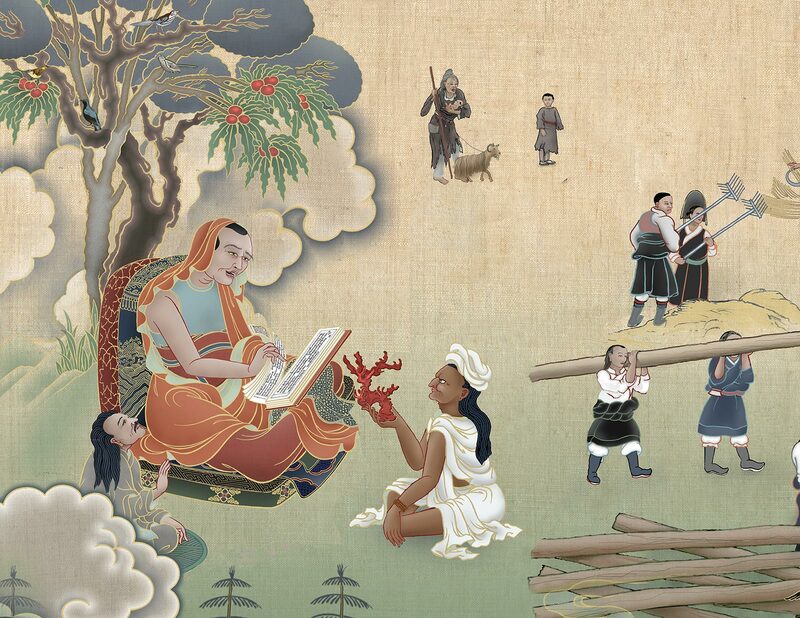 The twelfth birth story recounts one of the Buddha’s births in India as a brahmin.